When you’re looking to design a unique, professional employee uniform embroidery is a great option. Not only does it create a professional, thoughtful appearance, but it helps build your brand and improve marketing. However, before you immediately transfer your company logo into an embroidery pattern, there are a few things you must consider. The first thing you must do before placing an order for embroidered uniforms is to take a hard look at the design you are using. If you are using a graphic ensure that the image is of high quality so that the finished product looks clean and the embroidery company can easily work with your design. Consider that a complicated image may not translate well to embroidery. If your logo is intricate, having a graphic designer create a simplified version may be highly useful. Not all fabrics can hold up to heavy embroidery. Thin fabrics like lightweight kinds of cotton and lighter materials can buckle and tear when because of the density of stitches. Fabrics that have a thick pile, like terry cloth and fleece, can create a blurring effect that should be considered as well. Most companies will inform you of what materials will work best. In general, outerwear materials and twill fabrics are perfect for embroidery, but there are others you may find more appropriate to your needs. Depending on the type of industry you work in, and the amount of wear your uniforms and embroidery will get can greatly affect what type of thread will be best suited for your uniforms. If frequent washing and heavy wear are likely, you will want a more durable thread like polyester. For company items and retail shirts, rayon might be a better choice as it can be used on fabrics that are thinner and more delicate. Different designs work best with different placements. Smaller designs can be used on lapels, for instance. 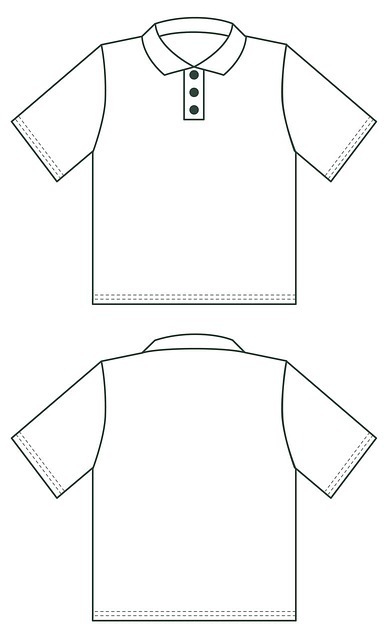 Larger designs may be better suited for a breast pocket or the back of a uniform. Another factor to consider is what will be worn along with the uniform. If your employees will be wearing aprons or other equipment a front logo maybe covered up. As you consider the type of design, the needs of your thread and placement it’s important to remember that all of these factors have an impact on price. In general, large embroidery pieces will cost more. That said, if you have a small design that is complex, you may still have a higher price as more care will be needed to make a small, tricky design clear. The number of colors you use, the material it’s being applied to and the more detail you add will all affect price as well.